Friday/ Happy Lunar New Year! Today marks the start of the lunar Year of the Dog. The lunar year runs until Feb 10, 2019. I went down to the post office and got a sheet of stamps, the way I do every year: 2012 2015 2016 2017. 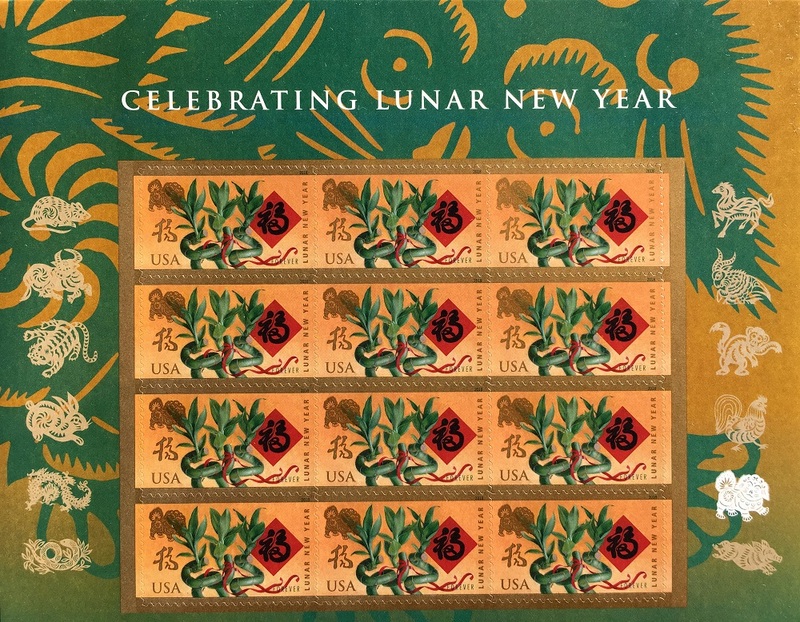 Here are the 2018 Lunar Year stamps. (Man .. they make one work hard to find the ‘Dog’ of the Year of the Dog on the stamps). There is a big doggie in green on the sheet, and then one in gold in the top left of each stamp). The ‘lucky bamboo’ plant on the stamps (Dracaena sanderiana) is not a true bamboo, but the cane-like stems and thin leaves give the appearance of bamboo.